It’s Paris in the late 1870s, and the three van Goethem girls are living a hair’s breadth from destitution. Their father has just died, and their mother, a laundress, is too friendly with the absinthe bottle. With the landlord beating at the door, the eldest daughter, Antoinette, a mere teenager, brings the next oldest, Marie, to audition for the ballet. If eleven-year-old Marie makes the cut, she’ll get a stipend, which, however meager, will help pay the rent. Meanwhile, Charlotte, the youngest, longs to be a dancer herself, but more for the dance, not the money. But even if the sisters enter the ballet company, there are slippers and skirts to buy, plus extra lessons without which even the most talented newcomer can’t hope to compete with her more experienced peers. Not only won’t the stipend go that far, the long hours of practice and, if she’s lucky, rehearsal for performance, drain many hours from the day. There’s little time for paying work on the side, assuming a young girl could find a job. Unless, of course, a well-to-do gentleman who subscribes to the ballet is willing to be her patron, in which case the ballet slippers, skirts, and lessons are paid for. Perhaps too, he whispers in the director’s ear, and voilà, his protegée receives a promotion to the next of many levels within the ballet corps. Naturally, however, patronage doesn’t come for free. I want to put my face in my hands, to howl, for me, for Antoinette, for all the women of Paris, for the burden of having what men desire, for the heaviness of knowing it is ours to give, that with our flesh we make our way in the world. Marie’s one of the lucky ones. She has Antoinette to lean on, and a nearby bakery where she earns a little on the side, as well as the shy smiles of the baker’s son. Also, a painter named Degas, who prowls the ballet scene, asks Marie to model, which brings in a few more francs. But tenuous circumstances change quickly, and the van Goethems, like poor people everywhere, lack the resources to cope. Consequently, The Painted Girls shows the not-so-belle époque in its daily squalor, vividly demonstrating the social divide between artist practitioners from patrons, and the latter’s prejudices and illusions. I like the storytelling here very much (except the last forty pages or so, which sometimes dip into melodrama). 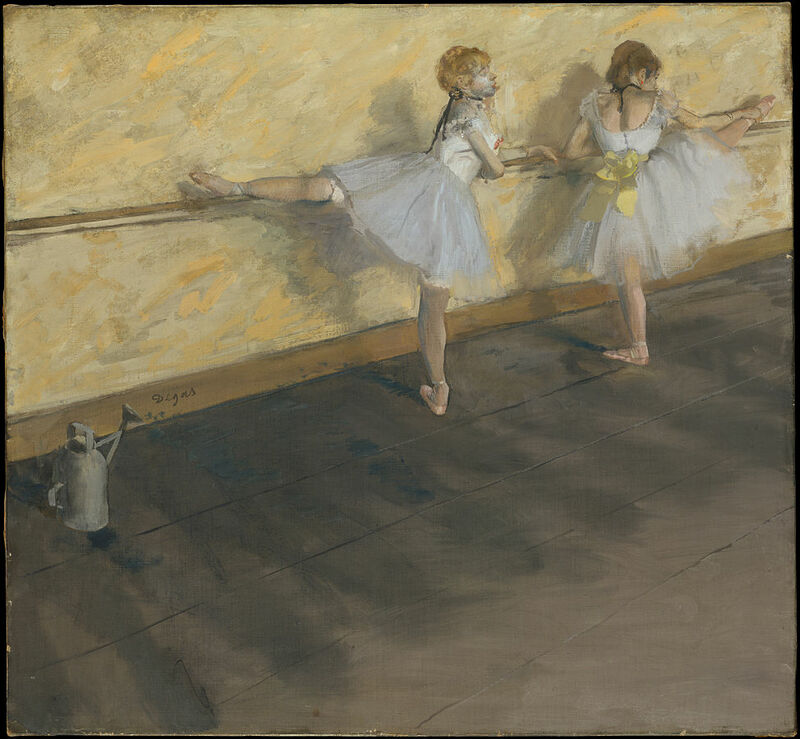 I also like how the author has depicted Marie, her ballet classmates, her patron, and Degas, with subtle complexity and depth. However, I don’t understand why Antoinette falls prey to a masochistic love affair–why does he appeal to her?–though once it gets going, her blind devotion feels absolutely real and chilling. Charlotte, the youngest sister, is a nonentity, a sketch. Buchanan has painstakingly researched the van Goethem sisters and Antoinette’s lover, all of whom existed, and of course Degas and a few others. 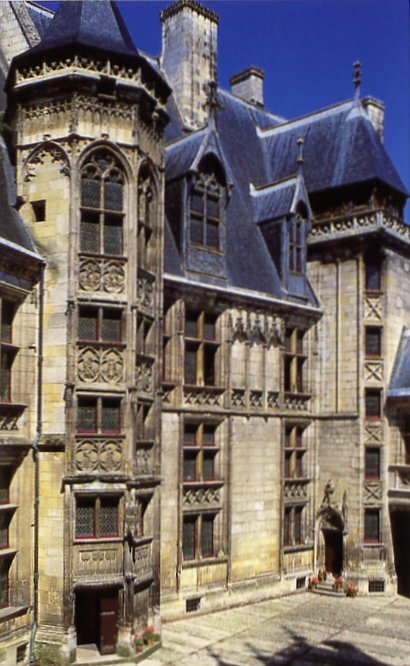 Strangely, though, Buchanan’s Paris is almost completely interior, giving full attention to rooms and, at times, building facades, but not streets. Is this a matter of style? To suggest claustrophobia? It’s also a bit odd that certain contemporary events–the Paris Commune of 1871, for instance–rate no mention, despite their profound aftershocks. Still, the world of The Painted Girls deserves wide attention, and so does this good novel. Imagine a family in which a selectively deaf mother floats in and out of lucidity; the daughter never smiles and spends all her time listening at keyholes; and the younger son, the man of the house at age eighteen, isn’t up to the job. Sounds like today’s dysfunctional family, right? Well, in S. D. Sykes’s hands, the year is 1350, the place is Kent, and the boy, Oswald de Lacy, is the new lord of the manor, Somershill. Oswald can’t tame his late father’s horse, doesn’t know the first thing about sheep-shearing, and has little or no authority over his tenants. That’s because he’s spent his young life at a monastery, studying Roger Bacon and Aristotle, and acquiring a taste for rational thought, atheism, and surprisingly democratic ideas. 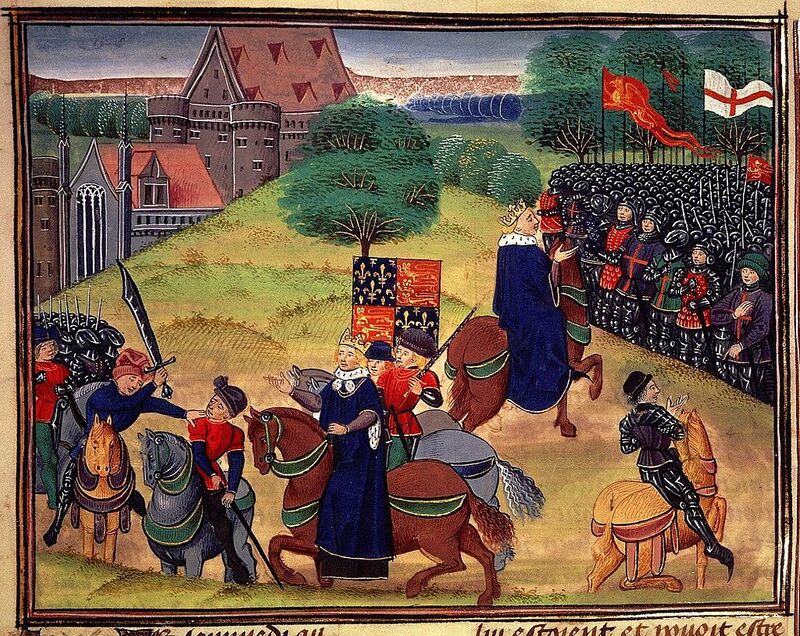 No, Plague Land isn’t a lift from Monty Python or Blackadder. It’s a well-plotted mystery and coming-of-age story, replete with credibly rendered fourteenth-century sights, sounds, and smells. A girl has been found murdered and her body mutilated, and the peasantry, incited by a demagogue priest, are all too ready to ascribe the crime to witchcraft. Oswald, pushed to investigate by his sense of right and wrong and the wishes of his confessor and lifelong tutor, Brother Peter, sets out to investigate. Along the way, Oswald suffers many reversals and embarrassments, not least that his belief in observation and proof sets the population against him, and that he must persuade rather than command. Though this is Sykes’s first novel, she deploys the “no–and furthermore” device with great skill, increasing the obstacles in milord’s way at every turn. Nothing comes easily, and the providential accidents that rescue sleuths in lesser novels don’t happen here. Theories about whodunit change constantly (and plausibly), and Oswald can trust nobody, not even the advice of Brother Peter, whose schemes to get his protegé out of trouble constantly backfire. All that makes good storytelling, but maybe a little too good. As Oswald remarks, he is lord of the manor, damn it, so why don’t people obey? It’s that frustration which, at the start, made me wonder whether Sykes intended a parody after all. But she’s serious, and a historical note explains her reasoning. Atheists and rational thinkers did exist in 1350, she says, though they were obviously a tiny minority. Further, the bubonic plague of the preceding years had upset the social order so drastically that tenant farmers sometimes had room to demand certain rights. Maybe, but Plague Land stretches these notions pretty far. 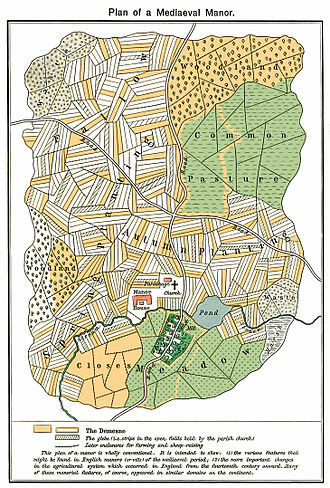 I accept that the plague has killed Oswald’s father and older brothers, giving the young lord his inheritance by surprise, and depleted the ranks of peasantry and servants, putting the estate in financial jeopardy. But the extent to which Oswald lacks a grip on things or can exercise a power he doesn’t feel he owns–the coming-of-age narrative–seems, well, modern. Plague or no, I have to think that when Lord Somershill gives an order, bumbler though he may be, the peasantry should hop to. Nor should he be able to marry a commoner, which he believes he can, a startling concept in 1850, let alone 1350. Unusually sophisticated, especially for an eighteen-year-old, he’s never so confused that he doesn’t know what his feelings are, even if they war inside him. That, like the language, strikes me as too modern. Still, Plague Land is good fun, and I gather that Sykes plans more novels about Oswald de Lacy. I’ll be interested to see how the series develops. How would you write a biographical novel about a Prometheus of electrical engineering who invented the alternating-current motor, the robot, and wireless radio, and was the first to liquefy nitrogen and discover the properties of X-rays? Why, with lyrical prose and mystical dreams derived from Serb folktales, Greek myth, and Freudian symbols, of course. Sometimes I fly all the way to the stars, where it’s always morning and where people made of silver live. Sometimes I plunge through the blue void in between the lights of the universe or dive in the ocean depths among the glowing fish. In the middle of the night, I long to see the day, and I see it. . . . I’ve learned to cope with a wonder as vast as death. That’s how Vladimir Pištalo has inhabited the mind of Nikola Tesla, the elusive, enigmatic genius who had the world at his feet, only to spurn it. Like its namesake, Tesla is magnificent–big, sprawling, leaping from moment to moment, tiresome at times, but brilliant, taken together. The novel consists of more than a hundred chapters, most shorter than four pages, an approach that would normally annoy me as melodramatic or superficial. But the framework allows Pištalo to isolate key moments over a long lifetime without straining to connect them; as the late Leonard Elmore once advised, he’s tried to leave out the boring parts. Many chapters, especially later in the book, introduce the myriad well-known figures who cross Tesla’s path in the United States: Thomas Edison, George Westinghouse, Mark Twain, John Jacob Astor, Sigmund Freud, and J. P. Morgan, among others. They’re all memorably portrayed, and many have pithy, revealing things to say. 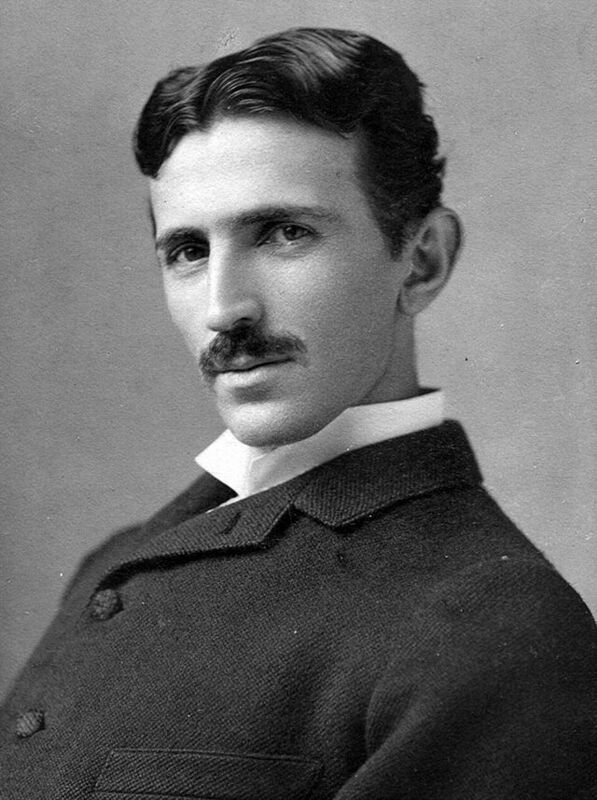 But of hundreds of acquaintances, Tesla had precious few friends, nor did he ever marry or have a sexual relationship. “Science is my fiancée,” he said. Accordingly, the novelist’s burden (or the biographer’s, for that matter) is to show why Tesla let no one reach him. Pištalo focuses on the inventor’s elder brother, Dane, who died young but was their father’s favorite. Only Nikola’s near death from cholera persuades this implacable parent to allow his only surviving son to study science instead of becoming a priest like himself. But when the young man brings back stellar grades and commendations, the elder Tesla’s complete lack of interest prompts Nikola to leave school. I agree wholeheartedly and wonder whether that remark could be the epitaph of our age. Learning is such a serious business nowadays. So I was heartened, on a recent trip to San Francisco, to visit the Exploratorium, a marvelous museum Tesla would have loved. It’s a huge space chock-full of machines on which you can demonstrate just about any principle of physics that doesn’t require a nuclear reactor. One exhibit showed a quote summing up the museum’s philosophy, which I paraphrase: The highest forms of learning inevitably involve some aspect of play. Like millions of other American servicemen in October 1945, Joe Howard Wilson is going home, having fought the good fight. But Joe Howard is African-American, which means he rides the back of the bus through Alabama to Mississippi. The lieutenant’s bars on his uniform collar and his Distinguished Service Cross should command respect, but they don’t–not from white onlookers, anyway–who throw him deadly stares. Sure enough, when Lt. Wilson refuses to leave the bus to make room for German prisoners-of-war, his objection costs him his life. A grand jury, meeting for fifteen minutes, calls his death accidental. What a stirring start, a window on a vile, painful chapter in our nation’s history. I’ve read about violence against African-American veterans after both world wars, so I was eager to see what Deborah Johnson made of Joe Howard Wilson’s fictional case. Unfortunately, the answer is, Not much. Regina Mary Robichard, a newly minted graduate of Columbia University Law School, works for Thurgood Marshall at the NAACP Legal Defense Fund’s office in New York. Against his better judgment, he lets Regina go to Revere, Mississippi, to find evidence to pursue the case, following the request of one M. P. Calhoun, a member of the Revere white aristocracy. Regina singles out this case from the hundreds gathering in her office because her father was lynched by an Omaha mob; and the photo Calhoun sends of the late Joe Howard and his father, which radiates love and warmth, reminds Regina painfully of the parent she never knew. This is very powerful stuff, and Johnson takes pains to make its context particular, re-creating the fictional postwar Revere with care. Nothing is as simple as it seems in this town of old families and older prejudices, of conflicting alliances, patronage, and barely repressed anger that needs little coaxing to erupt into violence. The confrontations between Regina and the white citizenry, my favorite scenes, often crackle with fiery subtext that reveals vast gradations of insult and blindness. The Confederate flag flying at the courthouse is only the most concrete symbol, mocking the men like Joe Howard who fought for ideals of justice that somehow don’t apply to them. However, The Secret of Magic fails to develop these themes to serve or sustain the story. For me, the problem begins with Regina, who really doesn’t belong in the book. I don’t believe for one minute that she’s a lawyer–it takes her three hundred pages to act like one–or from New York, which feels like an address rather than her home or the place that has shaped and educated her. There’s also no way that Thurgood Marshall would have allowed the clueless, wide-eyed Regina within a thousand miles of Mississippi, a setup, if ever there was one. The subplot involving New York office politics feels like a clumsy attempt to raise the tension, and Marshall has little or no purpose here. The thirty pages during which Regina and he tell each other what they both know stops the narrative cold, and the important bits reappear more effectively through action anyway, the moment she arrives in Revere. The storytelling falls short in other ways too. Several scenes take place in total darkness, yet, somehow, Regina manages to see remarkably well. Characters promise to reveal their secrets in due time, only to say nothing momentous when that time comes. Repeatedly, the author tells the reader what the characters have just shown. As for the legal case, there isn’t one. Regina manages to interview a murder witness whom the grand jury failed to question, but that doesn’t matter. Everybody in town knows who killed Joe Howard–the reader can guess too, pretty soon–and no indictment will be filed. So why does the novel require an outsider as a catalyst? Without one, the story would have worked more smoothly and plausibly, with greater tension. The answer is that Regina’s favorite book growing up was called The Secret of Magic by M. P. Calhoun. The M. P. stands for Mary Pickett (as if Calhoun weren’t enough of a Confederate moniker), whose book was banned in the South for portraying an interracial friendship. Fair enough, so far as Mary Pickett’s character is concerned, though it’s unnecessary; the story fleshes her out in other ways. More to the point, Regina’s fascination with a real, live author feels trivial and star-struck, and the frequent quotations from Mary Pickett’s book only slow down the narrative. I think that to drag in this literary conceit and honor Thurgood Marshall, Johnson had to twist her story in ways she shouldn’t have. That’s too bad, because she had a fine starting point. Vintage, 1988. 371 pp. $17. I was born to the theater. My parents met in a high-school play on the eve of World War II; they named me, their second child, for a famous Shakespearean actor. I majored in drama in college, thinking I’d be a playwright, where I had the good fortune to study classical Greek theater with the late Peter Arnott. When he recommended Mary Renault’s novels as both scrupulously accurate and good fiction, I read The Mask of Apollo. I loved it. Last week, I picked it up for another go-round, and again, I was enthralled. Nikeratos, an Athenian actor from the fourth century B.C.E., himself the son of an actor, tells his life story from the time he was a young boy, playing extras, to his career as a great tragedian. Since ancient Greek theater was religious rite, entertainment, social instruction, and political commentary rolled into one, that gives Renault a broad stage to work with, and she directs her drama with unerring skill. Fitting the religious aspect, Niko, as he’s familiarly known, keeps a beautiful theatrical mask of Apollo wherever he goes, through which he communicates with his favorite patron god about important life decisions. If The Mask of Apollo were merely Niko’s career path, it would be entertaining, though unremarkable. But Renault reaches for more. Through his theatrical interpretations and diplomatic missions, Niko plays a political role, on and off stage. As religious practitioners, actors were nominally protected from harm, but Niko can never be sure that a tyrant (or usurper) will honor that rule. So when he gets involved in the grand experiment to install a philosopher-king at Syracuse under Plato’s tutelage, Niko must use his theatrical talent in various ways just to survive. The Mask of Apollo therefore grapples with a key question, whether philosophers should be kings (or vice versa); or, to put it another way, whether politics and ideal expectations can ever mix. It means not setting oneself above one’s poet, nor being false to the truth one knows of men. When one can see that the audience wants the easy thing, or the thing just in fashion, and even the judges can’t be trusted not to want it too, for whom does one stay honest? Only for the god. Niko understands that honesty in theater, as in life, is a precious commodity, and that it comes, when it does, in unexpected ways, sometimes. Peter Arnott taught me that, though not in his lectures–rather, on stage, of sorts. He performed Oedipus Rex (his translation, of course), using marionettes that he’d made himself. Imagine the artifice: a painted stage set scaled to puppets, obviously not human, and a black-curtained hood, behind which Professor Arnott spoke all the lines, in different voices. Nevertheless, at the play’s climax, when Oedipus realizes he’s murdered his father, the hush that fell over us, the audience, brought awe, sympathy, and pity. And when the marionette Oedipus grabbed the scenery wall and gave it an agonized shake, a gesture daring us to laugh or break our belief in what we’d just seen, the pathos redoubled instead. I’ll remember that moment forever, if I live to be a hundred. Disclaimer: I own a much-loved copy of this book, on which I based my review.